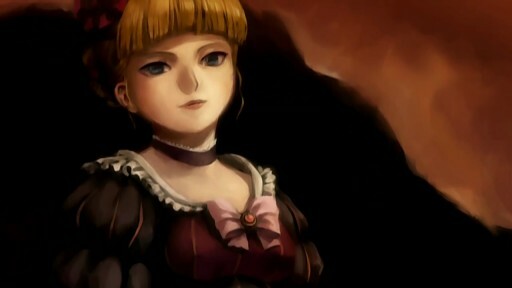 In episode 2 of Dance in the Vampire Bund, “Howling” (ハウリング), the public is now abuzz about the revelation that vampires exist. A lot of the buzz is around the controversy on whether the revelation is true or not (and some curiosity about whether other things like werewolves or Frankenstein monsters exist), but the news that Mina Tepes outright bought an artificial island from the Japanese government is also big news. The random boy interviewed in episode 1, Kaburagi Akira, is rather uninterested in the whole thing. In fact, he is quite annoyed by talk of vampires. Any true fan of The Melancholy of Haruhi Suzumiya would recognize this game: The Day of Sagittarius III. If you have an iPhone, you can now play the game as provided by Kadokawa Shoten, the publisher for the Haruhi Suzumiya novels. When I heard that Dance in the Vampire Bund would be an anime show with a scantily dressed loli vampire that wreaks bloody havoc, how could I resist watching it? (I’ll leave it to others to decide whether it’s a good or bad thing that the loli dismembering her enemies part attracted a lot more interest than the scantily dressed part.) And since I don’t expect the smallest details to be so important to the overall story, it wouldn’t be a bad choice for me to blog, considering how much I’m lagging with the current season. Anyway, episode 1 of Dance in the Vampire Bund, “Prom Night” (プロムナイト), begins as a cheesy live variety show whose main theme appears to be about guests arguing the truth of a particular topic until everyone agrees. And the topic of this night is whether or not vampires really exist, spurred on by recent murders where seven young women have been killed within three months, all with bite marks. The story of Darker than Black: Ryūsei no Gemini begins several years after the epilogue of its prequel, Darker than Black . 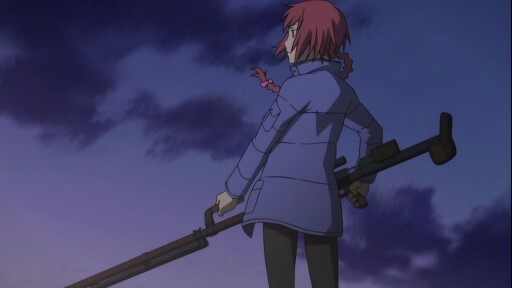 It is centered around one Suou Pavlichenko, a mostly ordinary teenage girl who lives with her father and twin brother, who got turned into a contractor two years earlier when he got hit by a falling comet. Her ordinary life is suddenly upturned one day when it seems that every intelligence agency in the world wants a piece of her, and she gets dragged off by Hei, the now even more apathetic main character of the prequel.